"We now need to think about better ways for hospitals to recognise and support patients who are troubled with fears of relapse"
Supported by Ovarian Cancer Action, OVPSYCH2 was the first randomised study to offer psychological support to ovarian cancer patients in the UK. Research into survivorship support for ovarian cancer patients is vital in improving quality of life for those affected by ovarian cancer. 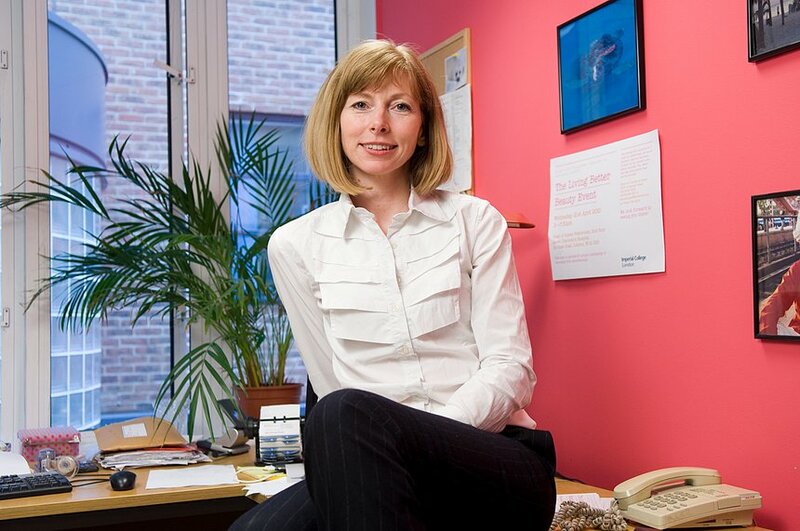 Trial lead Dr Sarah Blagden is an Associate Professor of Experimental Cancer Medicine & Consultant Medical Oncologist at the University Of Oxford. We ask her a few questions about the preliminary results of her research. What was different about OVPSYCH2 from other studies? Although there have been many survivorship-type studies in the past, they tend to be observational (non-randomised) and don’t provide rigorous-enough findings to change clinical practice. This has created a bit of a chicken and egg situation, where there is very limited survivorship support on offer to cancer patients because nothing has been rigorously proven to work. As most randomised cancer studies are designed to compare two cancer treatments (whether chemotherapy A is better than chemotherapy B or whether two cancer drugs in combination are better than one), we wanted to see if we could use the same principles to design a survivorship study. So, in OVPSYCH2, half the patients were randomised to three sessions of a psychological support given after chemotherapy. The other half got “standard of care” which was normal follow-up. What psychological support was offered in OVPSYCH2? Participants in this arm of the study randomised to receive support were invited to three ninety-minute sessions of counselling at their nearest Maggie’s Centre. The sessions were one-to-one, provided by psychologists and were cognitive behavioural therapy (CBT) and mindfulness-based. Sessions were scheduled in the first couple of months after chemotherapy had been completed. We are still waiting for the final results of the study, but early results showed that the majority of women rapidly improved their quality of life in the months after chemotherapy, regardless of whether they have any additional support or not. However, many women who are neither depressed or overtly anxious had a persistent fear of relapse (concern that their cancer would come back) and in some cases at levels that could interfere with their ability to enjoy their lives. However, psychological support seemed to help women overcome this. Isn’t fear of relapse a normal response to having ovarian cancer? Yes, it is completely normal to have these concerns after cancer treatment, but important to learn techniques to push them away so they don’t dominate everything. The psychological support given in our study was effective in doing this. How can I get psychological support for myself/my partner/my friend? Ask your/their hospital team or GP to refer them for support or find the nearest Maggie’s centre and ask there. I remember a patient once describing to me the difficulty she had returning to her pre-cancer life, she said it was standing outside a bubble trying to break back in. Maggie’s runs a number of courses designed to help patients who feel like this, helping them re-establish their lives after their cancer treatment. What will happen now/how will the results be used? We now need to think about better ways for hospitals to recognise and support patients who are troubled with fears of relapse. This may involve training nurses to deliver this support. We also need to explore whether less -frequent but more regular counselling is better than three intensive sessions within a short period of time.